Dash Strike - When you get close to an enemy during a Smoke Dash you can hit the melee button and come out of it swinging, stumbling an enemy. 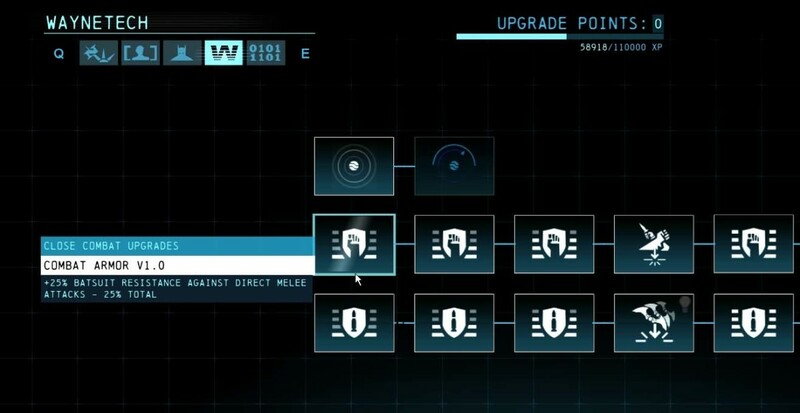 While not a full stun, it will allow you to get in several quick strikes without retaliation. Dash Subdue - This upgrade to Dash Strike allows you to subdue an enemy after a Smoke Dash. Enemies must already be vulnerable or surrendering for this to work. This power requires Good Karma. Dash Slam - This upgrade to Dash Strike allows you to change the strike into a lethal attack for standard enemies. This power requires Evil Karma. Comet Drop - When dropping from a height you can press the melee button and instead of simply falling you will add energy to it and do damage in a radius when you hit the ground. Obliterating Drop - When you hit an enemy directly with a Comet Drop the energy released is so intense that standard enemies are obliterated on the spot earning you Evil Karma. This power requires Evil Karma to acquire. Execute - While an enemy is vulnerable or surrendering you can go up to them and pump energy into them, brutally killing them in the process. This power requires Evil Karma. Enemy Drain - This upgrade to Execute enables you to regain energy from your dying enemy, enabling you to continue your rampage. This power requires Evil Karma. 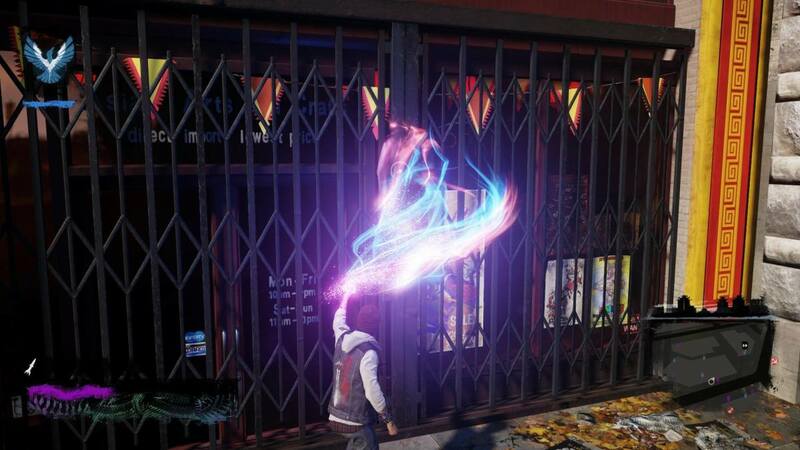 Smoke is the first power you get in Infamous Second Son and is a solid all round ability. Even though it won't get you around the map as fast as others, you will use this power through the entire game. Drain Smoke - By hitting the touchpad you can drain a nearby source of Smoke, such as a smokestack, wrecked car, or some other source of Smoke. Upgrades to this power extend the amount of Smoke you can drain till your smoke bar is doubled. Quick Draw - This power enables you to drain Smoke from all sources at twice the normal drain speed. Smoke Dash - This basic ability allows you to transform yourself into a cloud of smoke and ash and speed forward. This power can allow you to get past semi-solid obstacles that you would normally be a barrier. Double Air Dash - As the name suggests, this power allows you to use the Smoke Dash power twice before you hit the ground. Using this along with your normal hover power will allow you to cover significant distances. 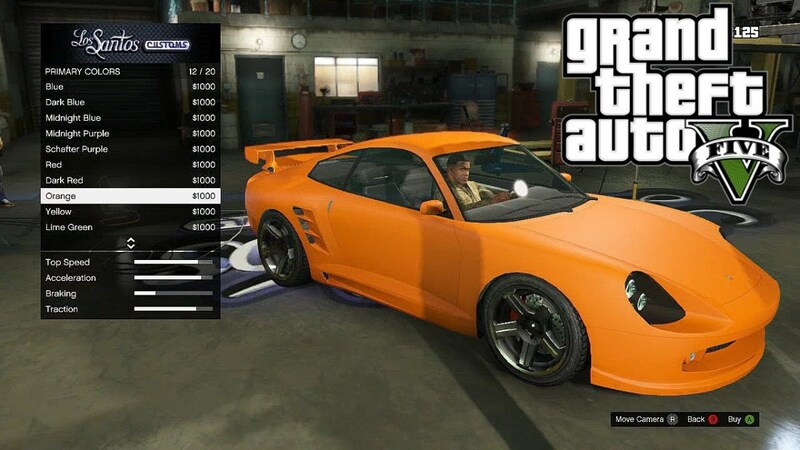 Car Boost - While standing on a car you can draw energy from it and use it as a launching pad to get yourself much higher then what you could normally jump. Vent Dash - You can use your Smoke Dash power with vents in two ways. The first is to enter a ground level vent and use it to get you to a higher exit location. The second is using the exit vent to launch yourself high into the air when you Smoke Dash over it. Smoke Shot - This is your basic ranged attack that you can use to engage enemies. Upgrades to this power reduce the energy cost up to fifty percent. Sustained Fire - This upgrade to Smoke Shot allows you to increase the amount of shots you can rapid fire off in a single burst. This power requires Evil Karma. 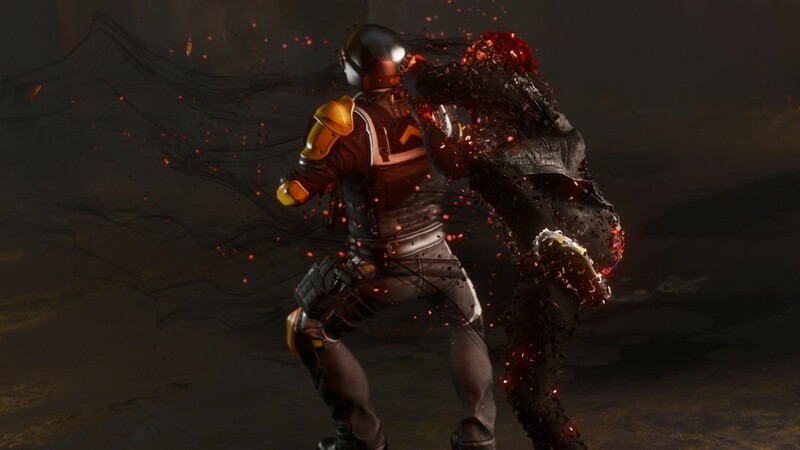 Sulfur Headshots - When you hit an enemy in the head with a Smoke Shot their heads will be engulfed with Sulfur and they will become vulnerable. While bent over coughing these enemies are able to be Subdued. This power requires Good Karma. Knockout Headshots - This upgrade to Smoke Shot makes your Sulfur Headshots stronger, allowing you to directly subdue enemies with headshots. This does not work on stronger enemies. This power requires Good Karma. 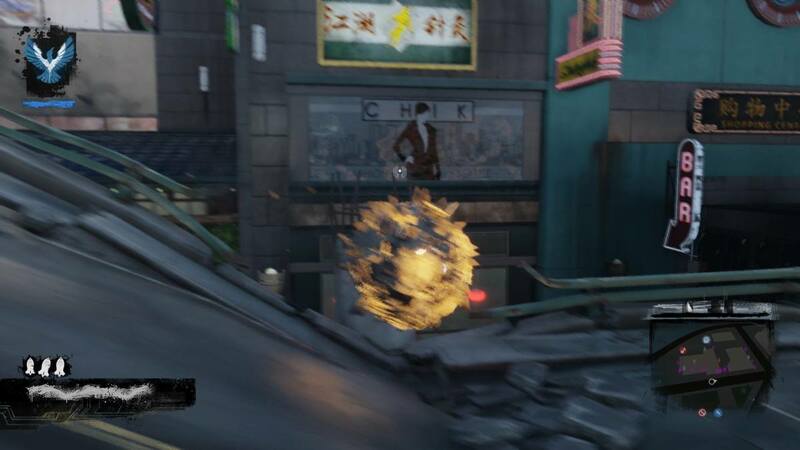 Cinder Blast - Instead of shooting a Smoke Shot you can hold the fire button and build up a stronger blast of Smoke. This best used on enemy items such as structures, equipment, and vehicles like the DUP APC. Upgrades to this power reduce the energy cost up to fifty percent. Obliterating Blast - This upgrade to Cinder Blast makes it much more deadly. When used on standard enemies they will not only be blasted back but incinerated, instantly giving you Evil Karma. This power requires Evil Karma to acquire. Sulfur Bomb - Using this power will cause a non-lethal grenade to be tossed forward. Enemies that are caught by the blast are left choking and coughing for several seconds enabling you to subdue them to earn Good Karma. Upgrades to this power reduces the energy cost up to fifty percent. Fire based enemies may be invulnerable to this power. Corrosive Fumes - This upgrade to Sulfur Bomb extends the time that enemies are left coughing, giving you a longer amount of time to subdue them. This power requires Good Karma. Giant Sulfur Bomb - This upgrade to Sulfur Bomb greatly increases the explosive radius of the power, enabling you to ensnare more enemies at a time. This power requires Good Karma. Cinder Missile - This power fires a compressed smoke projectile that greatly damages upon impact. This power does not use your normal smoke energy but requires Heavy Ammo instead. Upgrades to this power increases your Heavy Ammo capacity up to five. Orbital Drop - This power requires a full Karmic Streak to use. That is, you need to preform either several Good or Evil acts in a row and fill the bar at the top of your screen to full. This power enables you to launch yourself up into the air and come back down to create a large radius of destruction. Enemies are either subdued or destroyed according to your karma. After launching yourself with this ability you may steer yourself into a better position while in the air. Also, using the power under a hard structure will end the ability prematurely, but will not drain your karma meter. 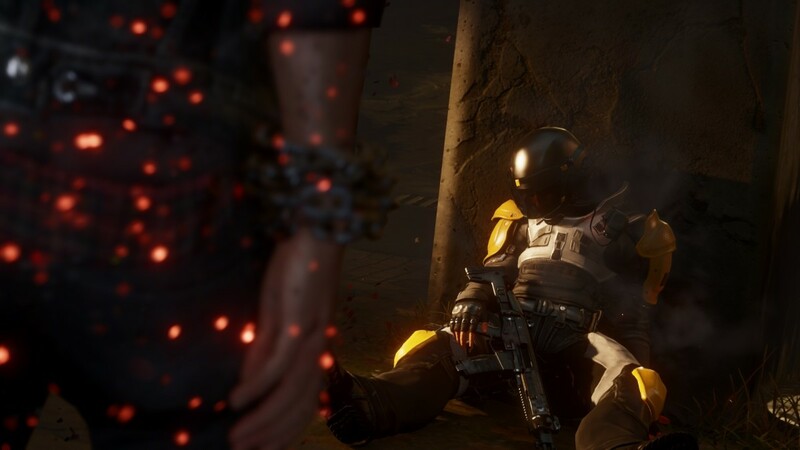 Neon is the second power that you get your hands on in Infamous Second Son, and for a time it's the only power that you can use, so it's best to become comfortable with it quickly... and get a bunch of shards before you even get access to it. Drain Neon - This basic power enables you to drain energy from neon lights around you and refill your energy. Upgrades to this power allow you to extend the amount of neon you can drain, up to doubling your neon bar. Quick Drain - Like Smoke, this ability allows you to drain Neon at twice the normal rate of speed. Radiant Sweep - This is your karmic power, powered by a full Karmic Streak bar. This power will knock enemies in front of you into the air causing them to hover in place while you launch a barrage into them. Neon Beam - This is your basic ranged attack with Neon. Upgrades to this power reduces the energy cost up to fifty percent. Rapid Refire - This upgrade to your Neon Beam will allow you to fire it at a faster rate of speed. This power requires Evil Karma. Phosphor Beam - This is your heavy attack power, enabling you to charge a heavy attack and launch it at your target. Upgrades to this ability increase your Heavy Ammo up to eight. Laser Insight - While you're zooming in on enemies you will find parts of them now are highlighted in both Blue and Red. 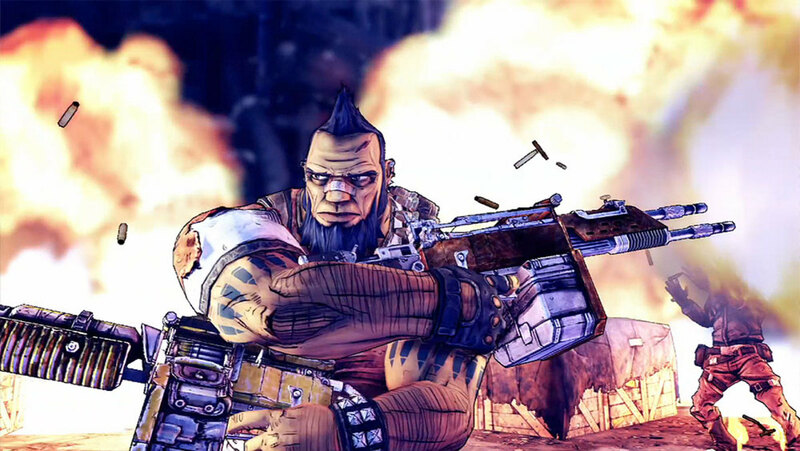 Shoot them in the head to kill them, earning Evil Karma, or shoot them in the legs to subdue them earning Good Karma. Sometimes you are required to shoot enemies in both legs to subdue them. Laser Focus - This upgrade to Laser Insight enables you to slow down time for a few seconds enabling you to better aim your shots. If you do not drain your Laser Focus meter all the way, it will rebuild from that point rather than recharging fully. Extended Focus - This Laser Focus upgrade extends the time that your focus remains in effect, enabling even longer periods of aiming. Speed Loader - This Laser Focus upgrade enables your Light Speed movement power to instantly regenerate your Laser Focus meter, enabling you to get off more focused shots when you need to move around a lot more. Stasis Bubble - When you use this power you toss a neon grenade towards your enemies, and when it explodes your enemies are tossed into the air to hover for a few seconds. Upgrades to this power reduce the energy cost up to fifty percent. Deadly Stasis - Enemies that have been placed inside of a Stasis Bubble are now obliterated when they are killed. This power requires Evil Karma. Extended Bubble - This upgrade to Stasis Bubble increases the amount of time that enemies are placed in stasis. This power requires Good Karma. Enhanced Stasis - Enemies that are caught in a Stasis Bubble no longer need to have their legs targeted to be put into stasis, simply hitting them with a normal attack will do the trick. Light Speed - This is your movement power. Holding the movement button will transform you into a streak of neon light that will automatically run over anything and up buildings. One should be careful however, as hitting a ceiling or underside of a patio will stop you in your tracks. Endless Speed - This upgrade to Light Speed removes your limiter and allows you to use the power for an unlimited amount of time. This power requires Good Karma. Photon Jump - This upgrade to Light Speed enables you to launch yourself into the air while using your movement power. Your feet must be touching the ground to perform this action, and you will be taken out of Light Speed... but you can restart it whenever you wish. 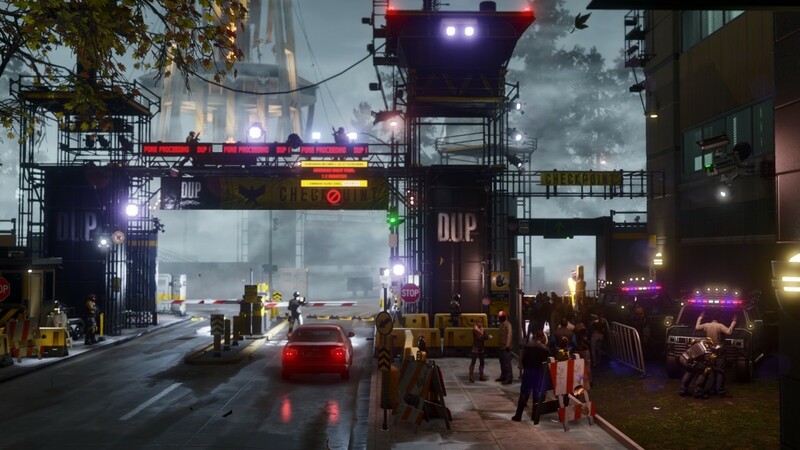 This has got to be my favorite Infamous Second Son Power. 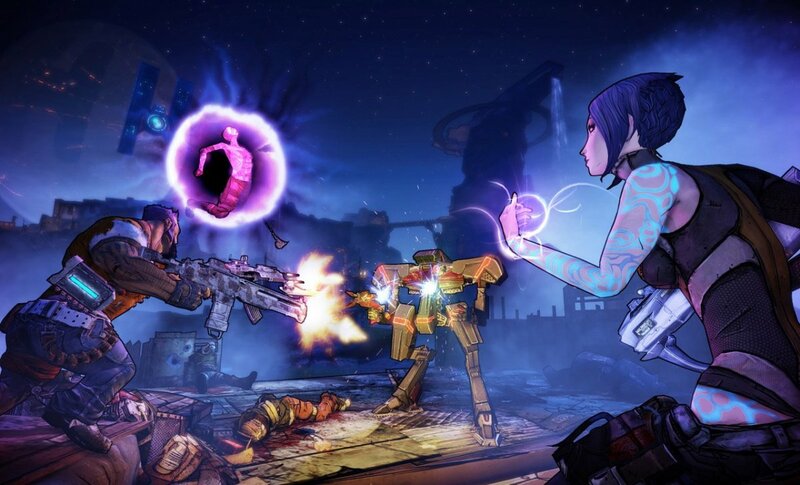 You tend to need to get in a little closer to enemies with this power, especially if you're on a Good play-through, but once you get all the powers this is a very fun and mobile style to use. Drain Video - This basic power allows you to drain energy from TV screens around you to fill up your energy bar. Upgrades to this power enhance your video energy capacity up to double your initial bar. Quick Draw - This power allows you to drain video energy at twice the normal speed. Hellfire Swarm - This is your new Karma Streak power that you can engage when you have a full Karmic bar. You call a swarm of angles to fly high into the air, and then crash into your enemies. Enemies will stop attacking you and fire upwards at these angles. Bloodthirsty Blades - This is your new Heavy Ammo attack. You summon three blades that fly through the air at your intended target. These blades are not like your other attacks as they will track and alter trajectory in order to hit the target you sent them flying towards. Upgrades to this power will upgrade your Heavy Ammo up to five. Blade Flurry - This upgrade to Bloodthirsty Blades allows you to call forth four blades instead of three. 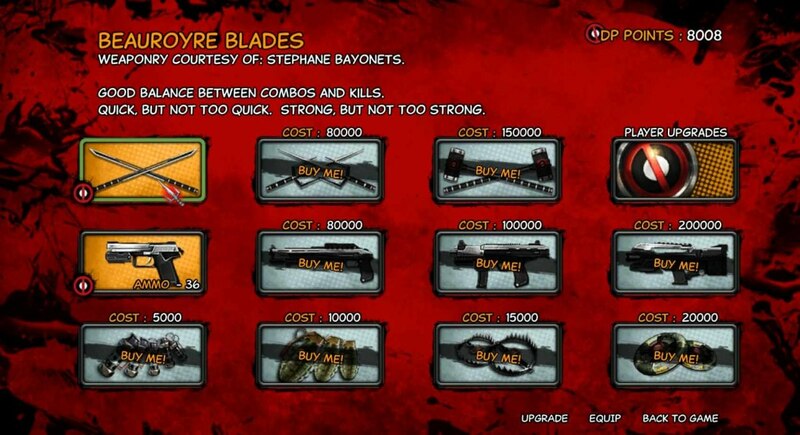 Blade Storm - This upgrade increases the number of Bloodthirsty Blades you can create to the maximum of five. Video Surge - This is your movement power. You are able to create wings on your back and surge forward. Tall buildings require you to hold onto them for the briefest of moments before using the power again to completely scale them. You may now use Satellite Dishes to change yourself into a video transmission and give yourself a huge aerial boost. Hovering Fire - This upgrade to Video Surge enables you to automatically start hovering when you zoom in on an enemy, enabling you to have more control while closing the distance. Airwave - This upgrade to Video Surge allows you to have much better control over how you hover, enabling you to gain speed by pressing forward, or swoop up by pulling the stick back. Double Air Surge - This upgrade allows you to use your Video Surge power twice before touching the ground. Signal Boost - This upgrade to Video Surge allows you to put your feet down onto a surface and launch yourself high into the air in the middle of a Video Surge. Shroud of Invisibility - This power will allow you to turn invisible. When you start the power you will find a large ring of energy slides out from you along the ground. If this ring hits an enemy your power is disrupted and you must move further away. 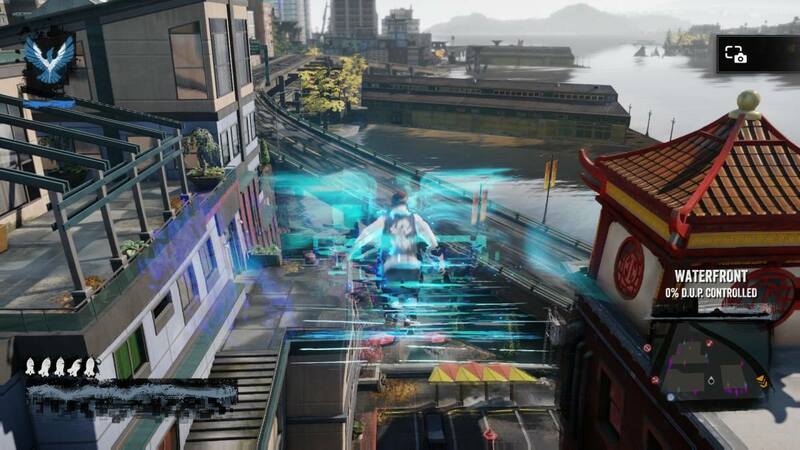 When you turn invisible you leave behind a digital decoy that the enemy will assume is you and will attack the decoy. 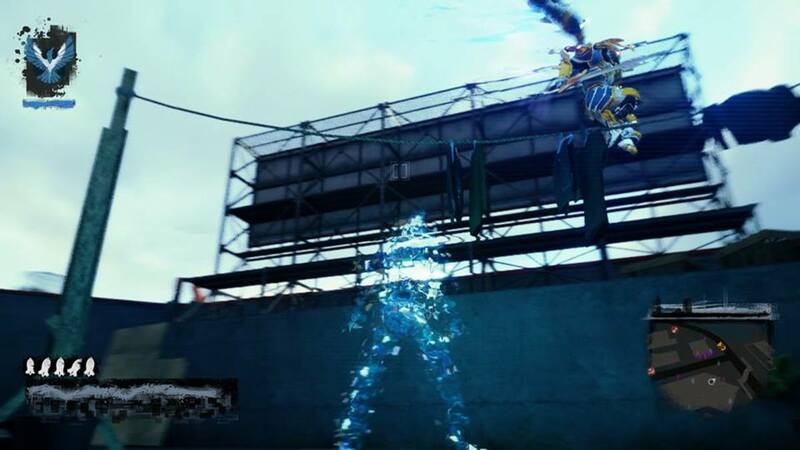 Enhanced Invisibility - This power enables you to subdue a single enemy without becoming visible. Subduing a second enemy will cause you to become visible once again. This power requires Good Karma. Extended Invisibility - This upgrade to Shroud of Invisibility causes the amount of time the power active to be increased. This power requires Good Karma. Summon Wingman - Instead of leaving behind a digital decoy of yourself, you instead summon an Angel that will engage the enemies around you. Demon Twins - Instead of summoning an Angle, you instead summon a pair of Demons that will engage your enemies. This power requires Evil Karma. Unholy Trinity - Upgrade your Demons to be a triple threat while your invisible, causing the maximum amount of carnage. This power requires Evil Karma. Video Torrent - This is your basic ranged attack. Upgrades to this power reduce the power usage by up to fifty percent. Narrow Band - This upgrade to Video Torrent increases both the range and accuracy of Video Torrent, enabling you to better take down enemies at range. This power requires Evil Karma. Extended Torrent - This upgrade to Video Torrent increases the length of time your torrent can fire in a burst. This power requires Evil Karma. 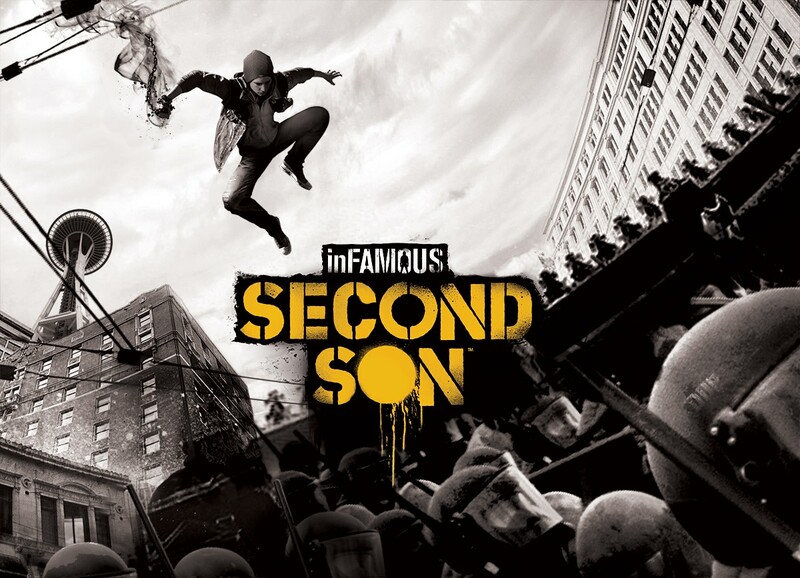 Concrete is your final Infamous Second Son power in the game, but instead of being the best I have to say I enjoy this one the least for my personal play style. I won't give specific spoilers, but I will say that you can only get the final blast shard during the final mission, and if you have all the shards you can upgrade everything to it's max during the period that you get your final Blast Cores. Drain Concrete - This power enables you to drain energy from defeated enemies in order to recover your Concrete Energy. Upgrades to this power enable you extend your bar by sixty percent. Concrete Shrapnel - This is your basic ranged attack. Unlike others of this time, there are no upgrades to reduce energy cost. Extended Shrapnel - This upgrade to your basic ranged attack allows you to fire your Concrete Shrapnel in a longer continuous burst. Concrete Barrage - This is your new heavy attack, enabling you to fire a wide barrage of rocks towards your enemies. Wide Barrage - This enhances your Concrete Barrage, extending the width of it and causing more damage when it hits enemies. Boulder Dash - This is your movement power. You are encased inside concrete armor as you dash forward along the ground. Unlike your other movement powers, this does not allow for vertical movement. Extended Dash - This upgrade greatly increased the distance you can travel while using Boulder Dash. 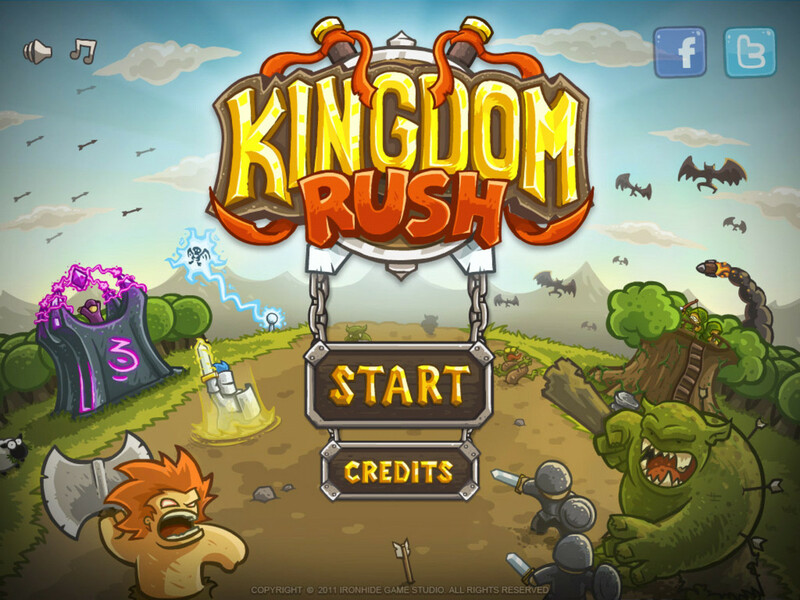 Endless Dash - This upgrade enables you to run for an unlimited amount of time while using Boulder Dash. Concrete Thrusters - This is the power that will help get you airborne. You can tap the L1 button for a rock powered leap that gets you higher then what you could normally jump, or you can hold the button while already airborne for a slow vertical lift. Pressing your normal jump button will not give you a rock powered leap, but will give you the slow vertical rise when held. Double Lift - This allows you to release the jump button and reapply for a second aerial boost of your Concrete Thrusters. Triple Lift - Like Double Lift, but adds a third time to your boosters. Strength of Stone - You take ten percent less damage while using Concrete as a power. Strength of Granite - This upgrade to Strength of Stone increases your damage reduction to twenty percent. 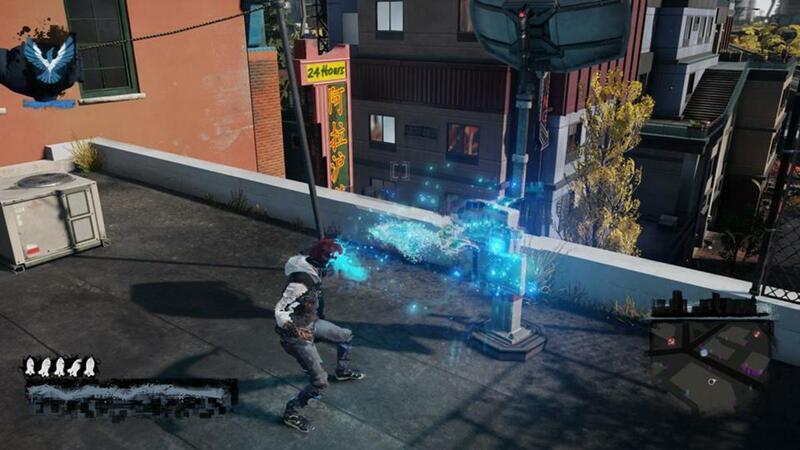 What's Your Favorite Power in Infamous Second Son? 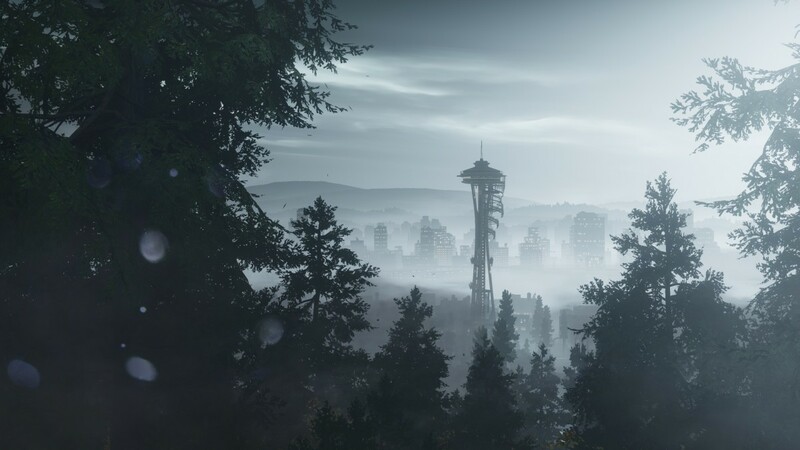 All images were taken from within the game Infamous Second Son, or from the Sucker Punch website. Every power that has a karma requirement has this information listed at the end of each individual power. The Laser Focus power does not have a karma requirement. wheres the option for the paper powers? Thet should give us endless smoke dash. Cause hank practically has endless smoke dash and looks awesome. Plz give us this power. According to the official Sucker Punch twitter the reward for the Paper Trail DLC is a mask and four jackets... no paper powers. 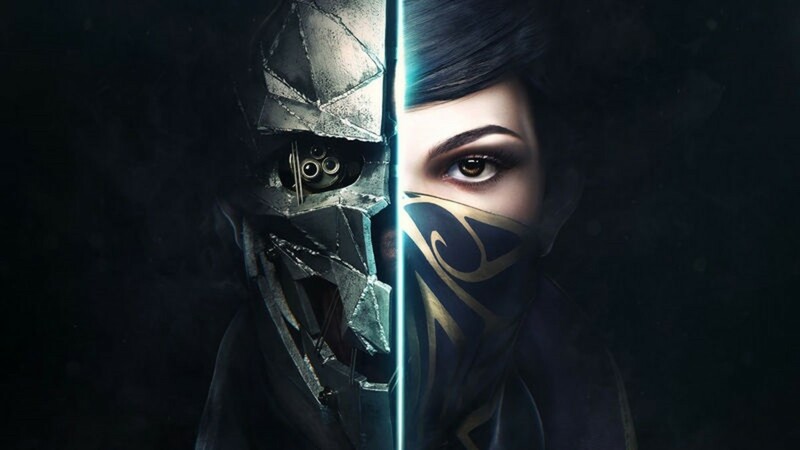 So for now, this article seems to be complete unless they release additional DLC. I'm sure you'll enjoy it. I haven't gone through my evil playthrough, but had a lot of fun completing the good run. Great overview, I'm finally getting my copy tomorrow so I've been reading up on it a lot today. 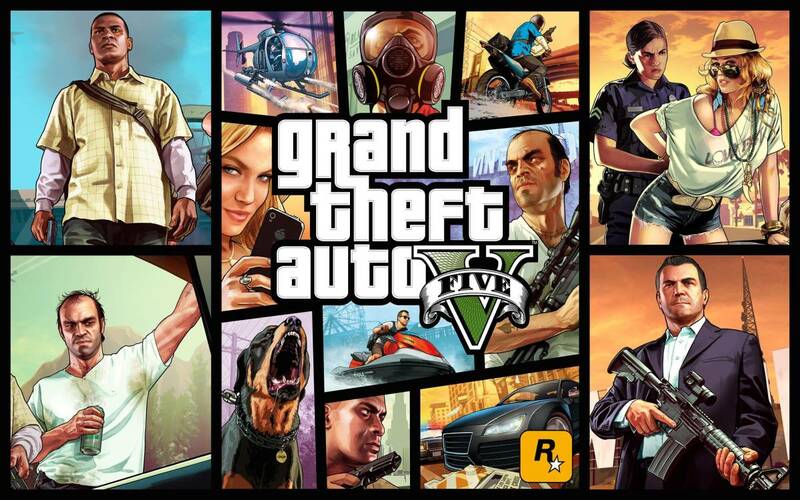 The Paper Trail DLC is being released over a six week period. I haven't unlocked paper powers yet, so I'm assuming that you won't get them till the end of the six weeks, if at all. When I get them or any other powers I'll update this article.